BBQ Repair Doctor is a professional BBQ Cleaning, BBQ Repair, and BBQ Restoration company. We are all about outstanding service and expertise when it comes to outdoor appliance repair/cleaning. We serve both homeowners and restaurant owners alike. Our mission is to ensure safe barbecuing practices and the best-tasting food for barbecue enthusiasts throughout California. We are family-owned and operated company serving Los Angeles, San Diego, Ventura County and East Bay. 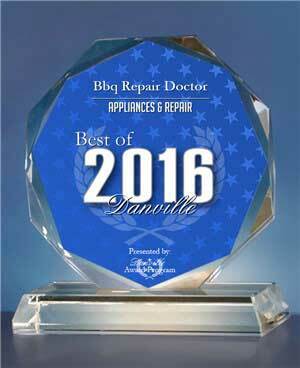 Our company BBQ Repair Doctor has a long standing, high quality, record of doing our job right and keeping our customers satisfied. We also work with our clients to make the outdoor appliance repair and cleaning as affordable as possible. Our certified technicians are always courteous and professional. Your time and convenience are very important to us. Please check out our before and after images here. You will be surprised at how good your grill will look after an appointment with us. BBQ Repair Doctor performs BBQ cleaning and disinfection. That includes grill grates, grill racks, hood, drip pans, burners, etc. All harmful carcinogens, grease and food particles are removed. After the cleaning is done, we polish your grill until it shines just like new. Also, we do BBQ grill repair on all kinds of grills. Our BBQ repair service starts with deep cleaning of your grill. Then we inspect its functionality and find what is wrong with it. We repair or replace all the parts that are giving trouble. Our service specialist checks for proper gas flow. This is done to make sure there are no leaks. The resulting grill will function and look like new. BBQ restoration is another service we provide. Whether it’s antique grill or relatively modern grill, we will be able to restore it to the top shape it can be. BBQ restoration gives your grill a new lease on life. We keep the overall price tag in mind so that the restored grill is much cheaper than buying a new grill. The grill parts we provide are high quality and well priced. You will be proud to show off your restored BBQ grill to all your friends and family. 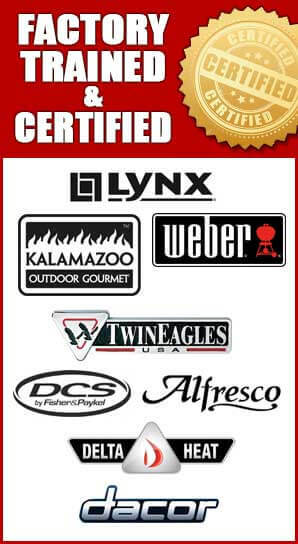 Besides taking care of your BBQ grill, we also clean and repair all the other parts of your outdoor kitchen including pizza ovens, refrigerators, bar centers, BBQ islands, sinks, ice chests, outdoor heaters, patio heaters and much more. An outdoor patio heater is a great accessory to have if you want to enjoy your BBQ grills during the winter season or cool summer evenings. If your patio heater breaks, we will be more than happy to come out and fix it for you. 818-392-8666 in Los Angeles or Ventura County, 858-433-0703 in San Diego or 510-731-6480 in East Bay to schedule an appointment. Or fill out our short online form. We would love to hear from you and answer all of your questions. You can read our Yelp reviews here. If you have an old, dirty or broken barbecue grill don’t give up on it yet. Give us a chance to clean, repair and restore it for you. There is nothing that feels better to us, than to see a smile of satisfaction after you see your old grill looking all shiny and new again. 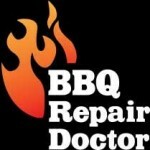 Prolong the life of your BBQ grill with BBQ Repair Doctor!